Amherst New Hampshire is a lovely area and mainly rural part of the state and is a very popular place to purchase a home. 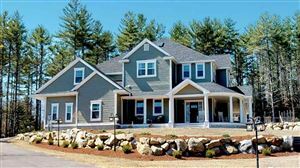 There is much to recommend about Amherst NH real estate for everyone from young growing families to those looking for a retirement or vacation home. The market has remained steady and prices stable over the last six years, making an Amherst NH home purchase a dependable investment. The community has a great deal of town pride, making it a friendly, comfortable place to live. See all Amherst NH Real Estate. The closeness of Amherst to Boston, Massachusetts led to a burst of growth after World War II. At present, the population of Amherst is approximately 12000, with about 348 people per square mile. Commercial and industrial development has grown in recent years. The highly respected school system, which includes Clark Elementary School, Wilkins Elementary School, Amherst Middle School, and Souhegan High School, which also serves Mont Vernon, has made Amherst NH homes very desirable. Despite its rural quality, Amherst is just a 15 mile drive from both Manchester and Nashua, the two largest cities in New Hampshire. Manchester-Boston Regional Airport is less than 15 miles away. Access to US Route 3 and Interstate 93 are convenient via Route 101, which passes through Amherst. The Ponemah Bog Wildlife Sanctuary, Hodgman State Forest, the Joe English Reservation, and Baboosic Lake provide plenty of opportunities for those who love the great outdoors, while preserving the rich natural beauty and resources of the area. The Peabody Mill Environmental Center has educational programs for all ages, summer day programs, birthday parties, and more. There are several highly rated golf courses, and even an amusement park, right in Amherst. Both large and small properties can be found on the Amherst New Hampshire real estate market. The historical and rural features in which the community takes such pride are reflected in the architecture of Amherst New Hampshire homes. The standard of living in Amherst is somewhat above the state average. Crime statistics are low. Souhegan High School has been ranked one of the top high schools in the nation which is a big draw to parents. An experienced professional like Moe Archambault is your best advocate when it comes to the complicated process of buying or selling Amherst NH real estate. He’ll help you every step of the way, giving guidance and navigating the required paperwork and negotiation so that every thing runs smoothly, meaning less stress for you.